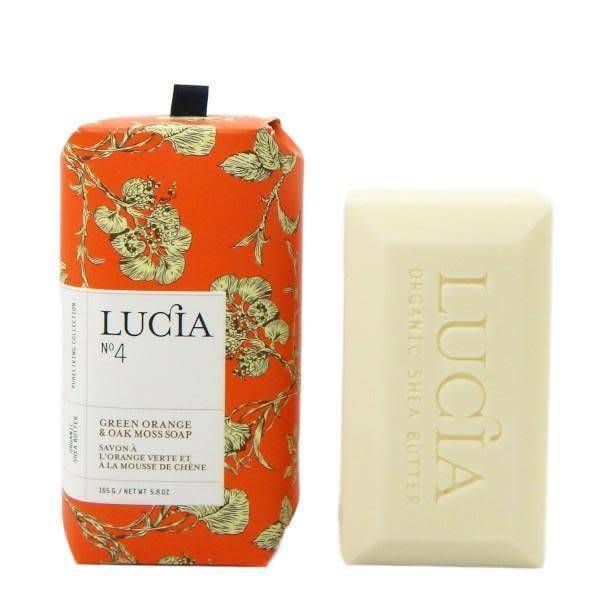 5.8oz soap - crisp and earthy, with green orange and oak moss. 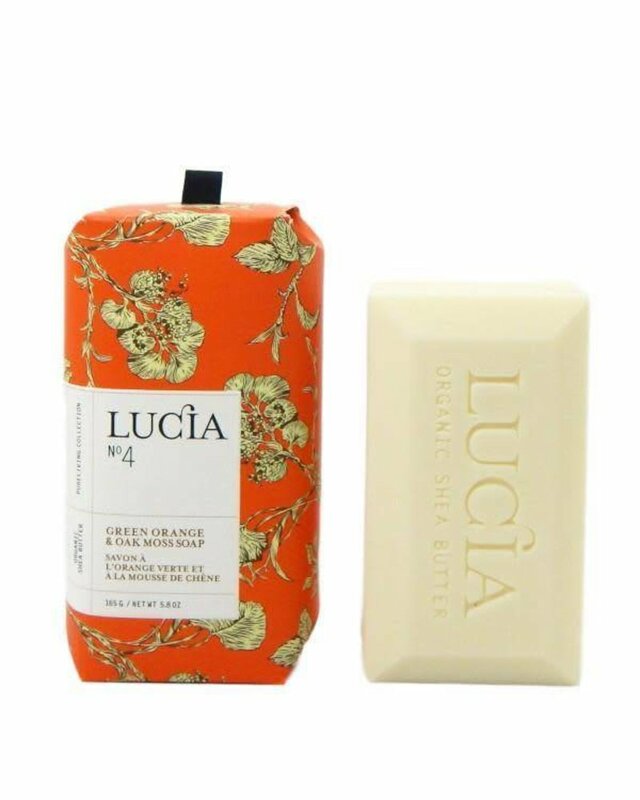 With certified organic ingredients, elegant product design, and stylish packaging - what's not to love about Lucia's line? Soak in the luxurious scents with these triple-milled, restorative soaps, handmade with 100% organic shea butter handpicked at shea processing collectives in Africa.